During a discussion on cycling issues, it's often helpful to be able to show other people the location you have in mind. For instance, a long road with multiple sideroads can be hard for other people to visualise. 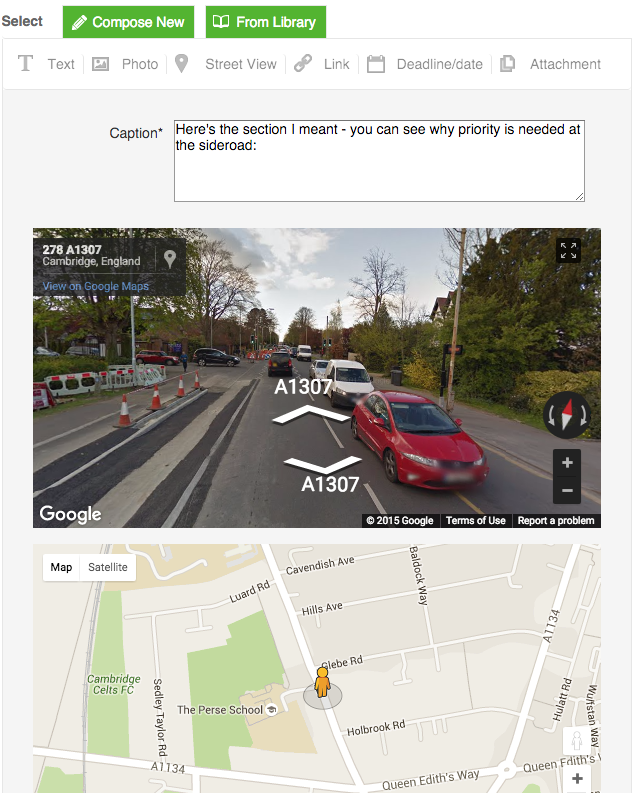 So we've added a helpful feature for campaigners: Street View message replies. While it's of course possible to navigate off-site, get a Street View link, and return, we've taken out that extra stage. The Street View button also tries to find a sensible default location. In a thread, just click on Street View in the reply box, position the map where you want, add a comment and press submit. People will then be able to see where you mean, straight from within the thread.